At Beacon, we understand that technology is crucial to the success of all businesses. We focus our technology service offerings in four key areas that are critical to growing small businesses: websites and hosting, business email, cloud phone systems, and IT consulting. In each area, we offer a variety of services and products to meet the needs of all types of small businesses. We love the web. We were born on the web, and it’s where we live and work. We know it can be a scary place, though. There’s a lot to know and a lot to experience. One look at a page of search results can be completely overwhelming. We’ll provide you with the services and tools you need to get started and take the scary out of building a website. We can set up hosting with one of our partners, install a content management system on it for you, and take care of all of the setup details. The website we create for you will be completely functional, easy to use, and easy to update. We will provide you with the training on how to use your website as well as how to update it regularly. We’ll make sure it’s optimized and that it’s registered with all of the search engines. We can help you develop your brand with images, design advice, color schemes, and logo design. Already have a site? That’s cool too. We’ll help you update it and optimize it. If it’s an old site, we’ll give it an overhaul. If it’s a basic site with a lot of traffic, we’ll give it an upgrade. Whatever you need, we have a solution to fit your web needs. WordPress is an open-source, blogging platform used by individuals and businesses all over the world to create their websites. We offer a custom version of WordPress that includes some security enhancements designed to keep your site free of malware and keep hackers out of your code. But we don’t just stop at security. We understand small business owners don’t have time to worry about or mess with their website, which is why our hosting plans are all “handsfree”. We will take care of updates to WordPress core, your theme, and your plugins, and we do it all by hand to ensure nothing goes haywire with your site. We also manage the backups of your site to ensure if anything ever does go wrong, all of your stuff is safe in the cloud. We combine the power and ease of use of WordPress with the security and convenience of managed hosting to give you a truly managed WordPress hosting experience. Get back to your business and let us handle your hosting. Your email says a lot about you, so if you’re still using that free email account as your business email, it’s time for a makeover. We’ll get you set up with professional email that fits your budget and uses your business domain name, so you get the professional email your business deserves. We can also help set you up with mobile access, email signatures, spam filters, and more. We’ll handle all of the DNS work to make sure every email you send makes it to your recipient’s inbox, and we’ll work to make sure you only get the emails you want with none of the spam you don’t. Email isn’t going anywhere, so isn’t it time you made the switch? The phone has come a long way, and with the application of cloud technologies to the traditional business phone system, small business now have access to call center and business phone features that were once only available to the largest enterprises. If you’re still using a single land line to handle your customers calls, or worse if you have no phone at all, let us create a cloud phone solution for you. There are solutions available for every size business and every budget. Our IT team will work with you to find out what you need now and what you will need later to ensure we recommend and implement the perfect system to grow with your business. We’ll get you set up and running in no time with little to no up-front expenses, and no equipment to buy. Let us design the perfect small business cloud phone system for you, and watch your business grow! Technology is the great enabler of our generation. With technology, small business can do more with less. With so many technology solutions out there, how can you know what is right for you? 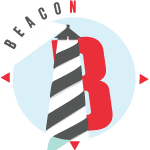 At Beacon, we specialize in listening to your business problems and pain points, and using that information to help provide you with technology solutions that let you focus on what you do best. We know small business owners don’t have time to stop everything for a software implementation or to fix a broken computer. We’ll find you the right solutions, get you set up with minimal interruptions, and make sure you have the support and training needed to be successful. Don’t just throw money at new technologies, let us be your trusted partner to help you choose the best technologies to enable your business to thrive. If you have a technology or question, let us know! We love solving complex business problems with creative technology solutions. Let us know how we can help grow your business today.